[FullDome operating system] Dome-OS explores new production processes to visualise complex real-time data sets within FullDome immersive environments. 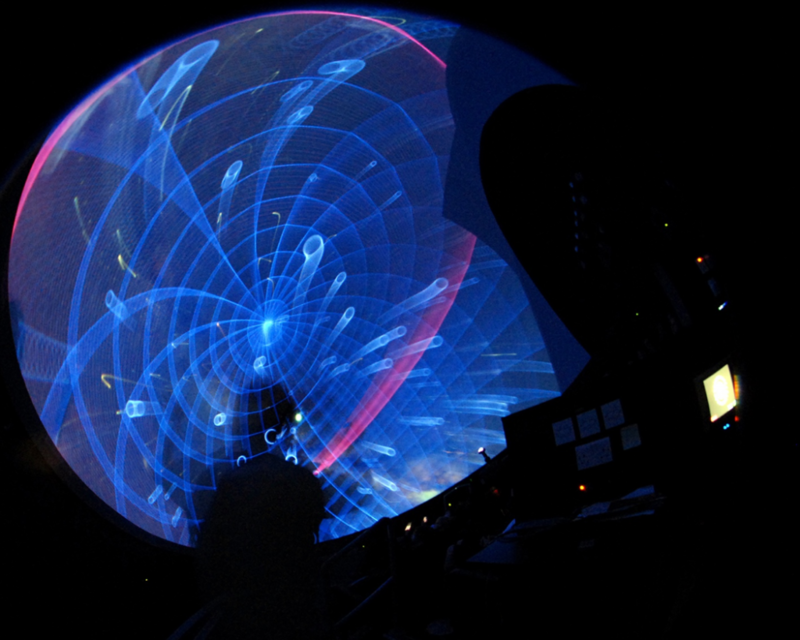 Taking advantage of the Plymouth University’s Immersive Vision Theatre the research has been a catalyst for interdisciplinary collaborations within international FullDome community. 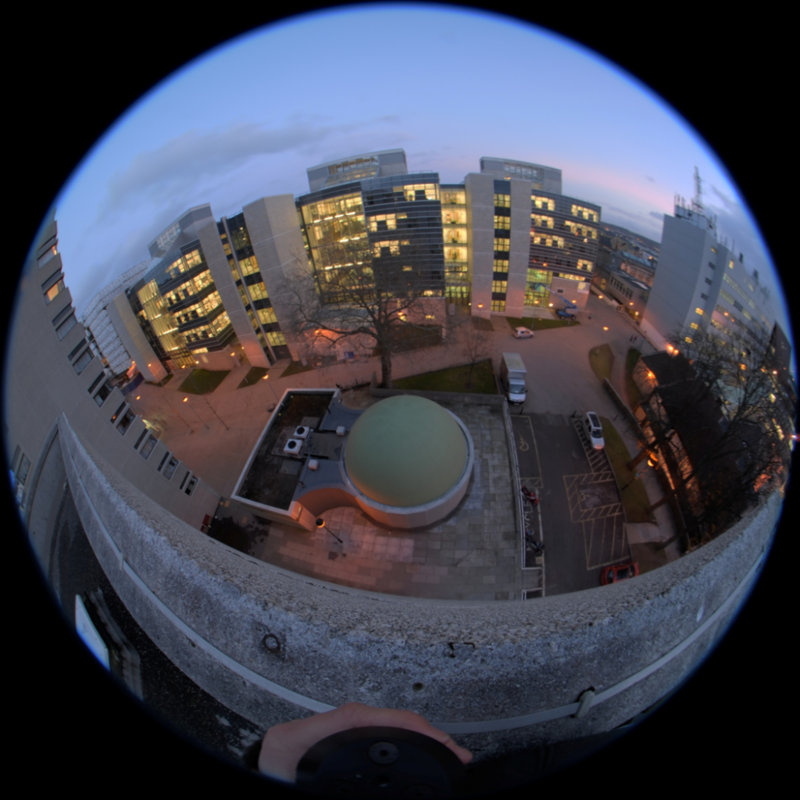 I: Dome-OS is designed to access live and recorded feeds from all of the above Operating Systems and data from a variety of disciplines, ranging from Psychology, medial, entomological to Earth Sciences. O: Through the use of data feeds, 3D modelling software, game engines and physical sensors Dome-OS provides high resolution visualisations and sonifications for FullDome environments. 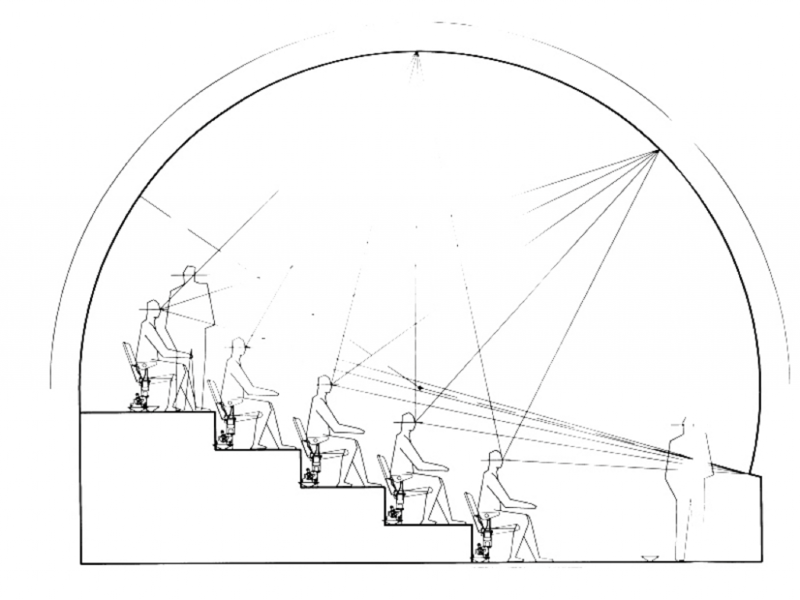 The system has been developed for single fish eye projector FullDomes, such as the Immersive Vision Theatre and i-DAT’s inflatable domes. 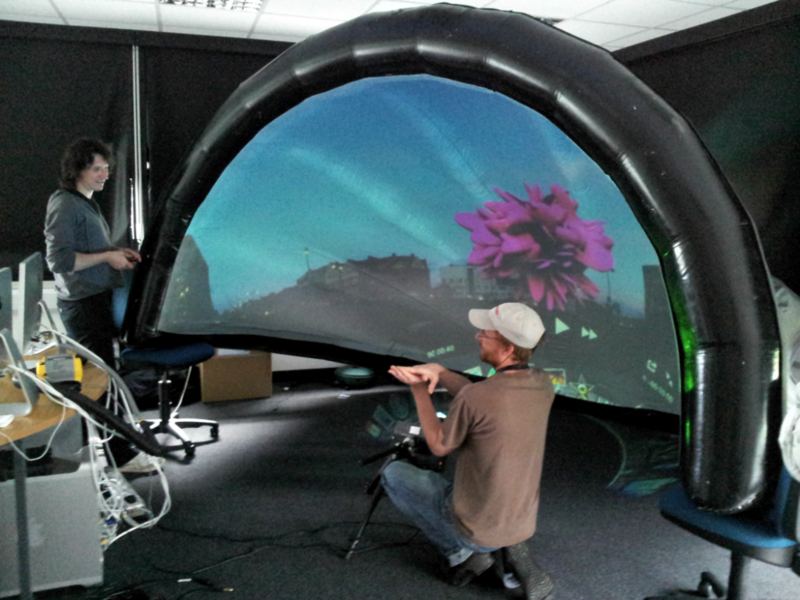 It can be used in multi-projector scenarios fitted with real-time inputs. 9m FullDome 25 degree tilt, truncated. 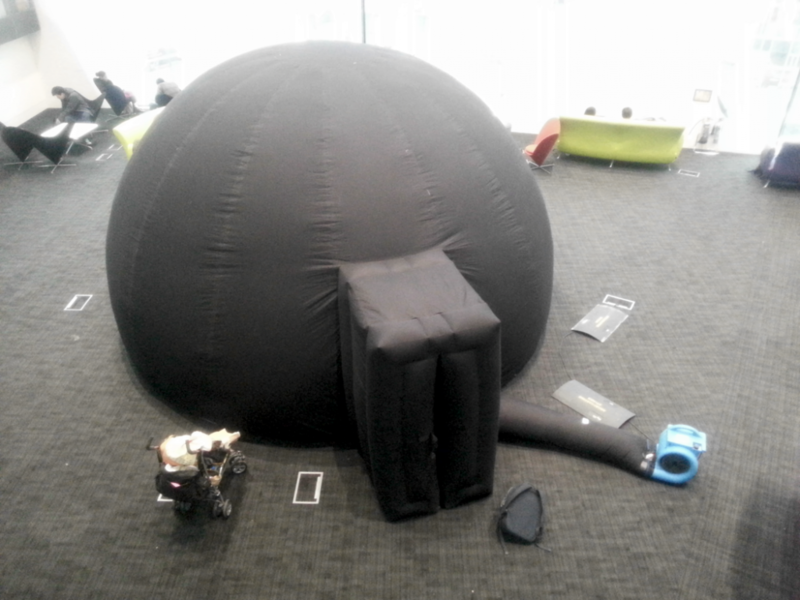 3.5 meter .5 inflatable dome (Elumenati pressurised half dome). 5 meter GoDome. Inflatable.